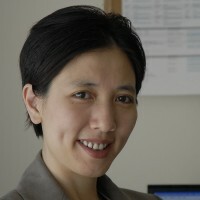 Dr. Linda Li is Associate Professor and Harold Robinson / Arthritis Society Chair in Arthritic Diseases at the Department of Physical Therapy, and Senior Scientist at the Arthritis Research Centre of Canada. She also holds a Canada Research Chair in Patient-oriented Knowledge Translation. She earned a BSc(PT) at McGill University, an MSc at Western University, a PhD in Clinical Epidemiology at the University of Toronto, and then completed a CIHR-funded post-doctoral fellowship in clinical epidemiology/knowledge translation at the Ottawa Hospital Research Institute.